Add Roy O'Brien Ford as one of your Black Friday Stops! $50 American Express Test Drive Gift Card Giveaway. First 100 Test Drives will receive the Gift Card!! No Purchase Necessary, Just Stop By & Test Drive a New Ford! Limit one gift card per person, per household, Must be 18 years or older. Proper photo I.D. is required. See Roy O'Brien Ford for complete details. Are you interested in a New 2013 Ford Mustang? 2013 Ford Taurus? 2013 Ford Edge? 2013 Ford Flex? Well now is the time with the Black Friday Sales Event. 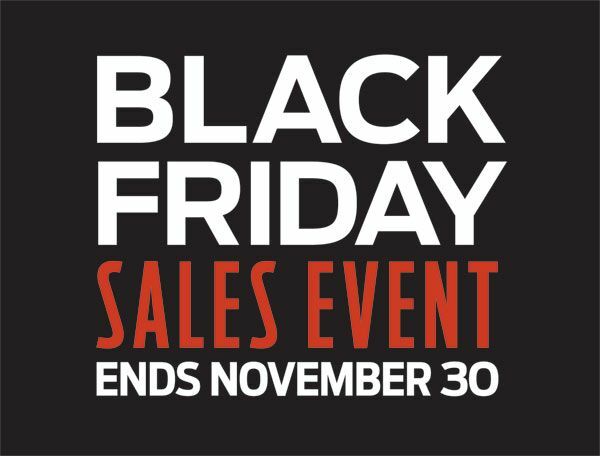 The Black Friday Deals have come to Roy O'Brien Ford! From now til November 30th take advantage of additional savings! 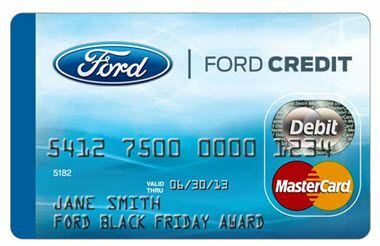 You can choose a $500 Ford Credit Black Friday Award Prepaid MasterCard or a $500 Ford Credit Black Friday Bonus Customer Cash Rebate. It's your choice! Learn about the current Mustang Rebates and view our Mustang Inventory. Learn about the current Taurus Rebates and view our Taurus Inventory. Learn about the current Edge Rebates and view our Edge Inventory. Learn about the current Flex Rebates and view our Flex Inventory. Are you interested in a New 2013 Ford F-150? Well now is the time with the Black Friday Sales Event. 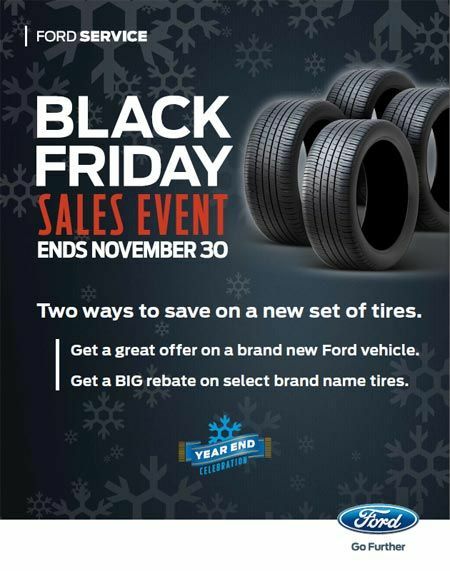 The Black Friday Deals have come to Roy O'Brien Ford! From now til November 30th take advantage of additional savings! You can choose a $1,000 Ford Credit Black Friday Award Prepaid MasterCard or a $1,000 Ford Credit Black Friday Bonus Customer Cash Rebate. It's your choice! Learn about the current F-150 Rebates and view our F-150 Inventory. Are you interested in a New Set of Tires? Now is a great time to purchase your tires. Now until November 30th take advantage of the lowest tire prices of the year. Visit our Tire Center and set an appointment for your new set of tires.